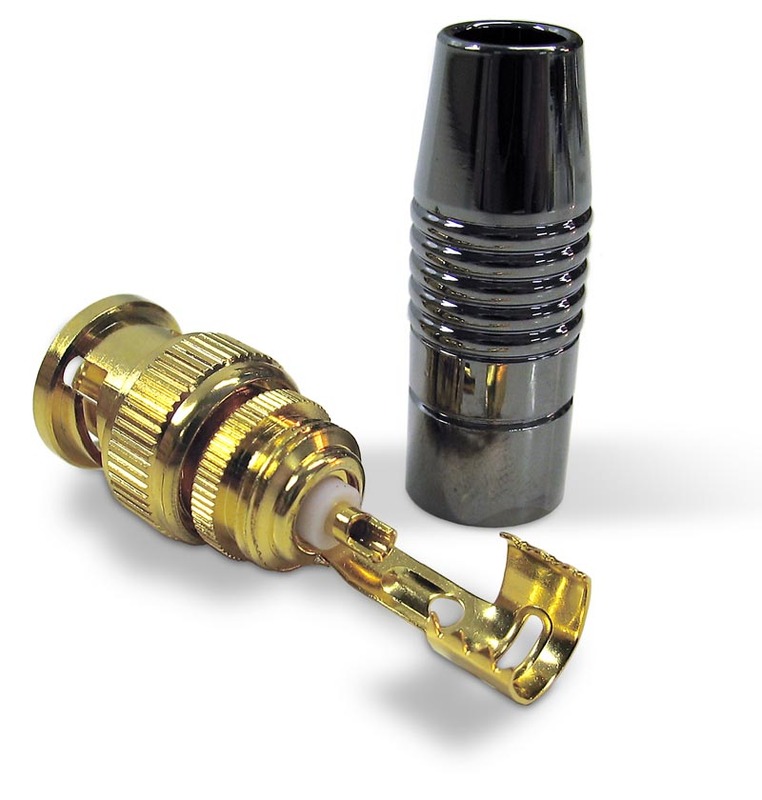 The EWI VRED75 Male BNC cord end is suitable for 75 ohm coax cable with an outside total cable diameter from 0.20" in diameter to 0.30" in diameter. 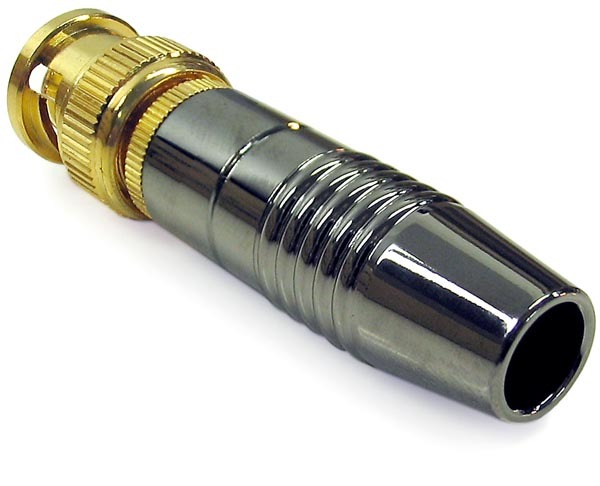 The anode and grip assembly is gold plated and the shell of the connector is smokey chrome anodized die-cast zinc. Assembly is simple and the cable is held by crimping around the cable jacket. 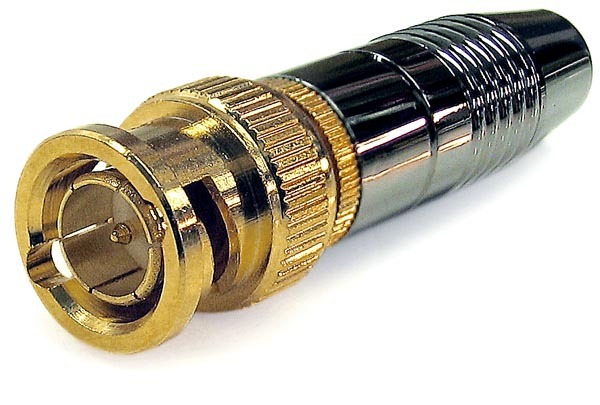 This is a very nice professional grade connector. Gold plated anode and grip assembly. Minimum cord diameter capacity: 0.20"
Maximum cord diameter capacity: 0.30"